In an era of 24/7 internet, smart phones, and even smart TVs, blogging has become the new medium for those who want to be heard. Whether you’re an just wanting to share your opinions or you’re looking to build a brand image, blogging is a great way to do it. And WordPress, of course, is the biggest and most successful of the platforms for publishing a blog. What’s more, WordPress is extremely customizable; with a huge number of themes, plugins and widgets available to make your site that much more personal. They can improve the performance too, so you’d be crazy to ignore them. So what do you need to make your WordPress experience successful? Here are a few of the plugins available that can make your life that much easier, both behind the scenes and up front and personal. If you have a form, a comments section or any way for users to interact with your blog, then Akismet is a must-have. You don’t want your comments section full of posts about pharmaceuticals (well, unless that’s your subject, of course), so Akismet’s spam blocking is perfect for every WordPress blog out there. Just turn it on and stop receiving all those spam posts that want to litter your comments sections with junk. Of course, you want your blog to be found by search engines, and this is where WordPress SEO by Yoast comes in. This is one of the favourite SEO plugins for WordPress, and it’s easy to see why. With its simple interface and clued-up knowledge of the current goings on at Google, you’ll never need another SEO tool. With a huge variety of options available, you can customize titles and meta descriptions to your heart’s content. One thing you probably don’t think about when blogging is the sheer quantity of data that can be collected if you’re successful. That’s where clean-up tools like WP-Optimize come in. This tool offers a very clean and simple interface with which to optimize your WordPress databases. Not only does that mean less space taken up on the server, but it can lead to a faster, cleaner page load. When it comes to SEO, it’s all well and good setting it up and hoping for the results but without analytics, how can you tell it’s working? Google’s own analytics tool is a great place to start, but if you want that bit more, then Extended Google Analytics offers you a host of extra features. From event tracking to managing multiple accounts as well as tools to track campaigns, this is a great analytics tool for WordPress users. One of the biggest bugbears for Internet users is loading times. No matter whether you’ve got super-fast hughesnet internet or the slowest dialup imaginable, W3 Total Cache can speed up your WordPress website with a free CDN. By intelligently caching images and pages, this WordPress plugin can really improve your site’s performance. Considering you only have roughly 10 or 12 seconds to impress your visitors, that can make all the difference. Despite the name, this plugin isn’t just for YouTube, instead offering great video services over a host of suppliers. From Vimeo to Facebook video, this app lets you include them all in your blog. What’s more, the video player can be fully customized and you can add thumbnails to your RSS feeds. With rich content being such an important component to your blog’s success, this is a great plugin. For all those highly social bloggers out there, Facebook comments is a great way to interact with your readers. By letting your visitors post via their Facebook login, and reader can post anywhere in your blog when they’re logged in to Facebook (and let’s face it: who isn’t, these days?). If Facebook comments aren’t really your thing, then Livefyre provides a truly excellent service via their comment tool. By replacing often soulless comments with a real-time conversation, Livefyre is a great way to get a real community started on your blog: the perfect way to build user engagement. With their SEO optimized content, mobile compatibility and social media link-ups, this is pretty much the perfect comments tool. With support for multiple contact forms, Contact Form 7 is a great choice for your blog or site. With its Ajax powered forms, it’s a powerful tool but remarkable simple to use: taking all the hassle of code away from the end-user: their simple interface even puts the joy back into contact forms (if you want to take it that far). 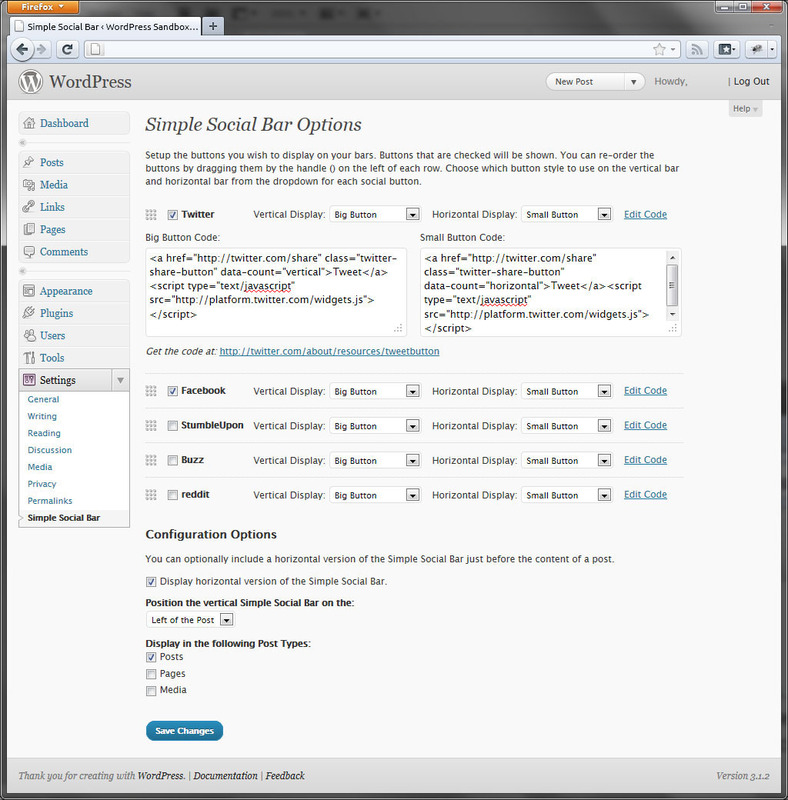 It’s also fully customizable to fit with your website’s theme. Social sharing is a hot topic for businesses even now, so getting Facebook, Twitter and LinkedIn sharing on your blog or site is essential if you want to compete. Perfect for businesses and personal blogs alike, this premium service offers a beautiful, scrolling bar complete with all your favourite social media platforms: it will follow your users’ screen as they scroll. At just $6, it’s a steal, too. Widgets aren’t just for your phone, oh no: WordPress widgets are great, but usually they’re restricted to your sidebar, header or footer. With Widget Instance by Ben Cooler, however, you can place your beautiful, interesting and fun widgets anywhere you want to. It might not seem like much, but this simple plugin can make a huge difference to how you display your website: with floating widgets offering you a great choice of layout. So here we have it — 11 great, must-have plugins for your WordPress site or blog. Of course, not everyone uses WordPress in the same way, but with the number of quality plugins out there, you’re sure to find one (or 11) that fit your needs perfectly.